Approximately 50 per cent of apartments in Boheme, the latest stage of Robina Group's $200 million CityVillage masterplan at Robina on the Gold Coast, have been sold after five months on the market. In total, 26 apartments with a value of more than $15 million have sold off-the-plan in the development since its launch in mid-October. The $30 million project has development approval and will feature 52 two and three bedroom apartments over seven levels, which will add a vertical element to the CityVillage community. Boheme will be nestled in a waterside position, with direct pedestrian access to Robina Town Centre in the heart of Robina. Residents will enjoy an exclusive "oasis", known as The Common, with a saltwater pool, tropical gardens, mature Pandanus trees, turfed sections and barbecue and entertainment areas. The apartments, priced from $449,000, feature large balconies and ILVE stainless steel Italian appliances and are set back from the streets of CityVillage. The success of Boheme follows more than $65 million in sales across the CityVillage community since it was launched to the market in mid-2013. Robina Group Director Tony Tippett said the rate of sales at Boheme was testimony to the quality of the project. “A great deal of thought and planning has gone into Boheme and, as the first medium rise building to be released within CityVillage, we wanted to ensure it complemented the existing environment while adding a new dimension,” he said. 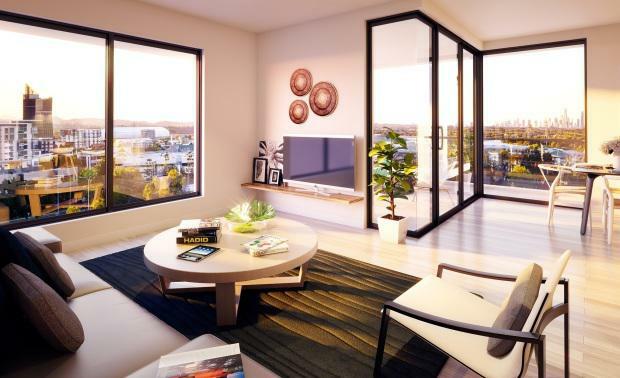 "The apartments have been designed to make the absolute most of the location, overlooking a lake and with all the lifestyle amenities central Robina has to offer at the doorstep. CityVillage is being developed on a four hectare site, adjoining The Crestway and Christine Avenue. The first four stages of terrace homes have sold out, prompting the recent fast-tracked release of the latest stage of 22 premium lakefront terrace homes, which are priced from $599,000. Mr Tippett said CityVillage had attracted a mix of buyers from the Gold Coast and interstate. "Across the board, CityVillage appeals to purchasers looking for a quality home and lifestyle, including those wanting to downsize, first home owners and investors," he said. "Boheme in particular has struck a chord with people wanting ultra low maintenance, single level, secure living, with plenty of room to entertain and access to all the amenities that ensure they live life to the fullest. "Mr Tippett said the central Robina location meant every convenience and service was available in close proximity.